Ireland, on the very western edge of Europe and surrounded by water, was just far enough from Rome to escape the clutches of the Roman Empire. The empire that changed much of the continent for centuries, exporting a particular style of architecture and culture that still defines the bedrock of many cities, didn’t interrupt the evolution of this island. The first stone structures here – 5000 years old – were left in peace. Rudimentary but with a surprising understanding of the earth and sky, they show how man first started to develop the Emerald Isle. Many years later the conquering Vikings made it here and they did leave their mark – although more with foundations than culture. Then closer neighbours spent centuries in an ebb and flow of power. Eventually the English took control and their legacy is still enormous in the context of modern Ireland, but it was too late the alter the millennia of history. The story of Ancient Ireland was already written. It’s a story of mysterious humans worshipping nature, of tribes battling for land, of religions of the continent infiltrating the society, of noble houses defending their honour, and of the empire that eventually did bring Ireland under its control. When it comes to tourism in Ireland, the west is often the focus. It has the rugged coastlines and natural beauty that are captured in journeys along the Wild Atlantic Way. It has cities like Galway and Limerick that evoke romantic images of the classic Irish. But in the region around Dublin, on the eastern side of the country, the density of historical sites is unparalleled. Just think about the geography – this is where anyone coming from continental Europe over the past few thousand years arrived. And it’s where they left their footprints as they jumped off their boats. I spent a few action-packed days exploring this area. It’s not nearly enough time to see everything but it’s amazing how much you can fit in. 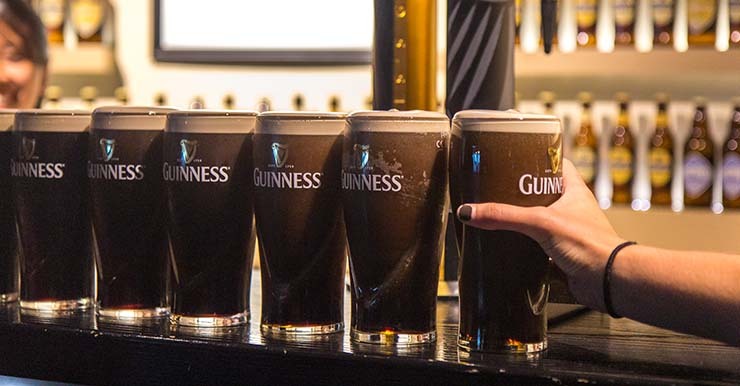 The distances are small and so, if you’re prepared to fill your days with sightseeing, you can definitely get a sense of all the important stages in the history of Ireland. I want to tell you about some of the places I saw. While I might normally put together a sample itinerary for you, what I’m going to do this time instead is present the sites chronologically, as they tell the story of history here. As I said, they’re all quite close to each other so you should be able to work out the best way to get between them, depending on which ones you would like to focus on. You can go back as far as 5000 years with your trip through Ireland’s ancient history. 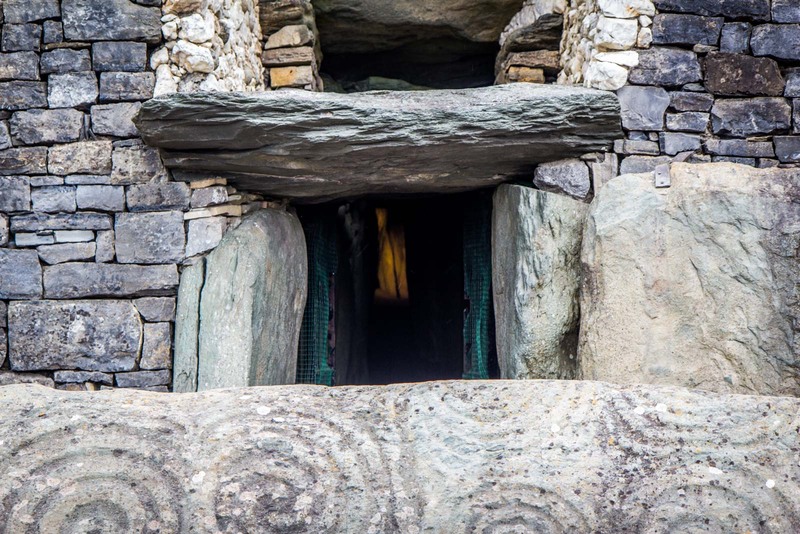 It was during this time – around 3000BC – that the first advanced culture appeared in Ireland. We don’t know much about them today but we know that they started producing things like decorated pottery and stone tools. They also had wooden houses and impressive stone tombs. It’s these tombs that are of most significance today. The Loughcrew megalithic site has a series of these tombs spread across the hillsides. The most important one, known as ‘Cairn T’ is open to the public. You can go inside and see the hollow shape inside the rounded tomb. There is artwork carved onto the stones inside. The most interesting thing about the tomb is that the passage lines up with the sunrise of the equinox. A little further away is the most famous of the megalithic sites, Newgrange. 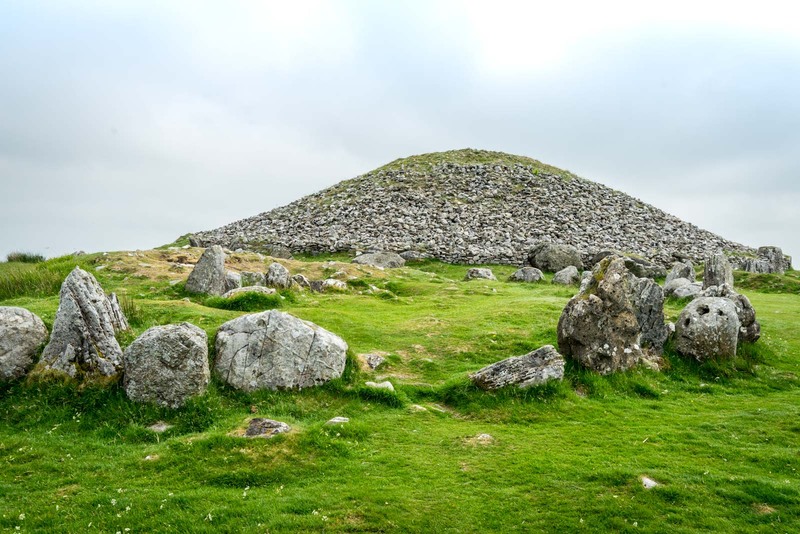 It is also a passage tomb but it much larger than the ones at Loughcrew. You can also go inside with a tour and see the very impressive collection of carving inside. In this case, the passage lines up with the sunrise of the winter equinox. Newgrange has been reconstructed on the outside to how some experts believe it once looked, although there is disagreement on this. The Bronze Age came and the the Iron Age. The development of the people of Ireland continued but with no major course-altering events other than the gradual arrival of the Celts from central Europe from around 300BC. This influence would be the genesis of the Gaelic culture that remains today. During this period, kingdoms began to appear on the Emerald Isle. 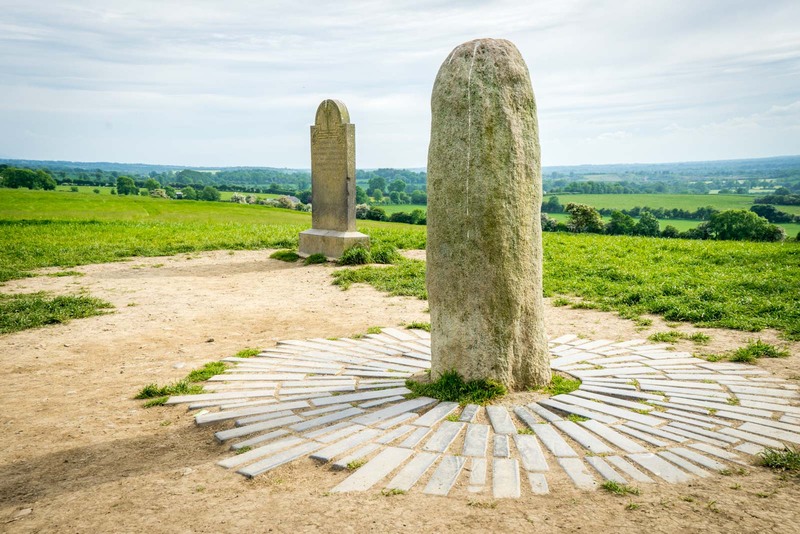 The Hill of Tara became the symbolic centre of these kingdoms and is described as ‘the seat of the High Kings of Celtic Ireland’. There’s actually not a lot to see anymore, especially from the ground. The layout on the top of the hill is interesting, though, because there are clear rings dug into the earth that create circular crests. These, presumably, had some kind of fort or similar structure on them. Christianity began to take hold in Ireland from around the 5th century. St Patrick, the most famous Irish Catholic, is said to have arrived in 432AD and brought with him not only religion but the Roman alphabet and new laws. There is a fair amount of disagreement whether this is true or whether it was just attributed to him later on. There’s no doubt that this period marked big changes in the country, though. One of the earliest Christian settlements in Ireland was Monasterboice. It was founded at the end of the 5th century although the oldest church still on the site today is from the 14th century. The cemetery is interesting but the most important element is the Muiredach’s High Cross. It is 5.5 metres high and has carvings of scenes from The Bible. You can see this for yourself and it is surprisingly unprotected. One of the other most important relics from this period is the Book of Kells, an intricately decorated manuscript of four gospels of the New Testament that was created around 800AD. It is held at Trinity College in Dublin and you can see it there. But you can also visit the town of Kells, which it is named after and was where it was held for many years. There are a few things here to take note of, particularly the large Celtic crosses. Ireland for the next few centuries is probably defined by the Vikings who began raiding the country in 795AD. They came from Norway and didn’t just steal from villages, like some depictions. They had fierce battles with the kingdoms that had emerged. To support these wars – and to avoid travelling across the sea in winter – they set up bases in the east of Ireland. Most of these bases were further south than the area I’m talking about in this story but cities have grown from these foundations and are worth visiting – places like Wexford and Waterford. The most famous Viking settlement, though, was Dublin. I’m not going to focus on Dublin in this article because there would be a lot to say (and much of it I have written about already). But in terms of the Viking history, I’ll mention a few things. The famous Christ Church Cathedral is actually built on top of an old Viking church and in the building next to it, connected by a bridge, is Dublinia – a museum with a large Viking exhibit. 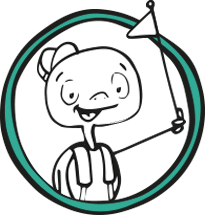 It’s more aimed at children with opportunities to dress up and speak to actors. For something more authentic, you’re better off seeing the exhibits in display at the National Museum of Ireland. The Vikings eventually left Ireland because they were losing ground to the native forces. But it was only about 150 years later that the country came under threat again – this time from the Normans in England. This began a period of many centuries during the Middle Ages when power moved back and forth between the English and the Irish, sometimes because of fighting and sometimes because of politics. It was the era of castles and lords. One of the best examples of this period is Trim Castle. It was built in 1172 and was used by the Normans as the administration centre for the area of Meath, which was now under control of the English king. You can go inside it today, although it’s mainly just a shell of a building now. Still, you can see all the interesting details that made it perfect for warfare – an outer wall, a defensive ditch, narrow windows, a front door above the ground, and spiral stone staircases. 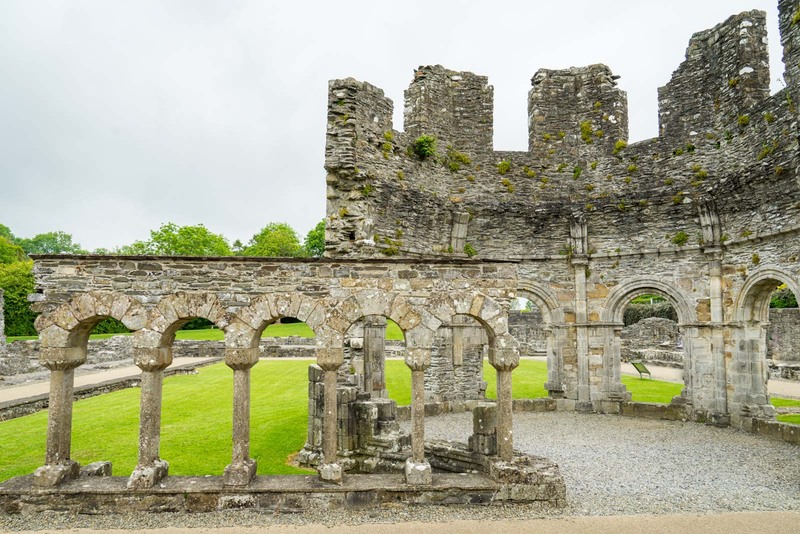 At the same time, the Cistercian religion was making its way from continental Europe to Ireland and the new order set up its base at Mellifont Abbey near Drogheda. By 1170, it had about 100 monks and 300 lay brothers and was the model for other abbeys built across the island. Mellifont Abbey was a sustainable community that grew its own food and used innovative techniques to farm fish from an adjacent river. Although it’s in ruins today, there’s a fair amount to see on the site. The nearby town Drogheda is now a relatively industrial place but it was an important centre of trade during this period. It still has several important landmarks from the Medieval days, including Laurence’s Gate, which was once part of the town’s defences. St Peter’s Church is also worth the visit. Drogheda is a good place to use for accommodation when exploring this region and I recommend staying at the D Hotel. Another town worth visiting and using for accommodation is Carlingford, further north near the border with Northern Ireland. The centre is small and easily explored and still has a Medieval feel. The highlight here is King John’s Castle, which was built in about 1210. For somewhere to stay here, I would recommend the Four Seasons Hotel. From 1536, the English king, Henry VIII, decided to conquer Ireland properly. In 1541, he declared the island to be a full kingdom and named himself as King of Ireland. Rather then put an end to the fighting of the past few centuries, it actually made things worse. The 1600s were some of the bloodiest years the country had ever seen and continued under a succession of English monarchs. This period came to an end with the Battle of the Boyne when the (Protestant) William of Orange beat the (Catholic) James II. There are quite a few sites you can visit to understand this period, including the site of the Battle of the Boyne. Unfortunately I missed out on seeing that, so I want to suggest somewhere I did visit – Malahide Castle. The castle is close to Dublin and there’s actually been a building on the site since the 12th century and was owned by the same family for almost its entire 800 year history until it was sold to the Irish State in 1975. The only time it wasn’t owned by the family was during this unrest as the English fought to control Ireland and it was taken off them. They then got control back and went to fight for James II at the Battle of the Boyne. As the story goes, 14 members of the family sat down in the enormous dining room for breakfast the morning they set off. Only one returned. You can get a guided tour inside the castle and it is well worth it. The rooms are beautifully decorated from various eras. In the dining room I mentioned, you’ll see an enormous painting of the Battle of the Boyne. While the period after this battle was not completely peaceful, it was certainly much more settled than anytime in the past millennium. The British took control of Ireland and rich English citizens became the main landowners in the country. The power rested with these wealthy Anglo-Irish Protestants while the Catholic Irish were often peasants working the land. The Anglo-Irish had grand homes from which to manage their new lands although, in reality, many of them actually lived in England most of the year. 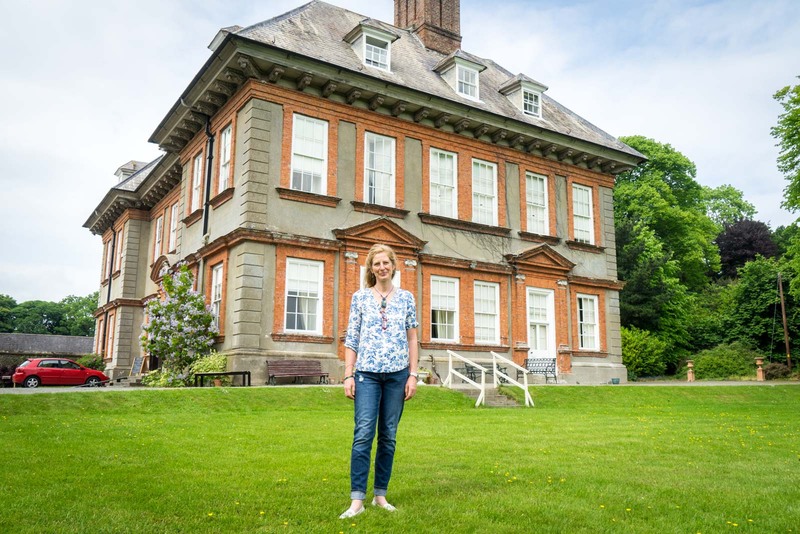 A good example of one of these homes is Slane Castle, which was built slightly before this period but was taken over by the Conyngham family in 1701. It has been in the family’s hands ever since. You can tour the inside of the castle and see most of its grand rooms. The castle is probably most famous, though, for being the site of huge concerts for artists like the Rolling Stones, U2, Bob Dylan and David Bowie. A much more modest house that also represents this period is Beaulieu House. Construction started on the house in the 1660s and it was one of the first unfortified grand house in Ireland. You can also get a tour inside the house and get a real sense of what it was like for the landowners of this period. What makes Beaulieu House quite interesting is that it has been with the same family for 11 generations and is still lived in today! And that brings us to more recent times… a period in Ireland’s history that’s just as interesting, through an independence movement and everything that brought. But that’s for another time. Today I’m only focusing on the story of Ireland’s Ancient East and it’s got enough intrigue to keep us busy exploring for a long time. 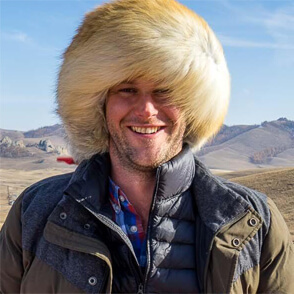 I don’t think you can really appreciate everything you see here without having a good grasp of the thousands of years that led to this moment. Seeing some of the place I’ve suggested here, it’s not just about the past, it’s also about right now. Time Travel Turtle was supported by Tourism Ireland in partnership with iambassador but the opinions, over-written descriptions and bad jokes are his own. You can’t leave without kissing the Blarney Stone! You may also want to consider taking an Ireland tour, rather than organisingeverything on your own. It’s also a nice way to have company if you are travelling solo. I am a ‘Wanderer’ with G Adventures and they have great tours in Ireland.